According to a Mozilla company blog post, Mozilla has re-established its Enterprise Group, it will be a place for enterprise programmers, Firefox developers and IT staff to discuss the ideas, best practices for utilizing Firefox in the enterprise. The move goes after Asa Dotzler, Mozilla evangelist irked IT experts by arguing on a blog thread about the new rapid release schedule of Firefox that “Enterprise has never been a focus for Mozilla. The IT pros were angry and noted that breakneck updating denoted little time to entirely test updated Firefox along with internal web development company, the probability of broken add-ons, no assistance for previous versions and other headaches. Instead of assuage their fears, Asa Dotzler exacerbated the problem through calling users of enterprise as a “drop in the bucket” when compared to vast user base of Firefox. The comparison of Dotzler can be correct but Mozilla honchos are evidently endeavouring to make clear that business is important to Mozilla, consequently the Mozilla Enterprise Group. 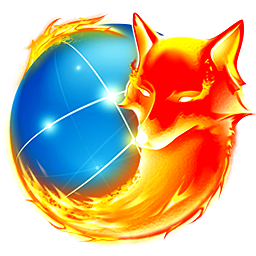 The agenda of the group is to lead conversation on subject how enterprises may deploy Firefox in ways which suits their own releases and testing cycles, among other things. Actually, Mozilla has been very conciliatory when Dotzler introduced foot into mouth. The blog post of Mozilla receives downright fuzzy and warm with such statements as “We look forward to hearing from users of enterprises and IT managers from companies of any size and Mozilla is basically about people and they care about their users doesn’t matter where they are. Even Mozilla’s vice president of products, Jay Sullivan, offered enterprise users a peace pipe by way of blog post, where he stated that Mozilla was searching for balancing the requirements for enterprise IT with Mozilla’s dedication to a fast evolving Firefox which will better adjust to Web standards and promote browser technology. It is of importance that Mozilla doesn’t allow the perception which it is apathetic about the linger of enterprise. It supports reason: users will most probably deploy the technology they utilize at work while at home. In case Mozilla wishes to keep extending its Firefox user base (particularly with Google Chrome that breathing hot down it’s well-known neck, so it is a great idea to make good with the enterprise – a ground that may be core in introducing the home users who Dotzler wants to Firefox.